As often as the band stumbled on Up, they did so in a noble pursuit to redefine themselves in the wake of drastic change. In 1997, R.E.M. was at a crucial crossroads. They were coming off of the biggest period of sustained success in their career, and even if the previous year’s New Adventures in Hi-Fi was seen as something of a commercial disappointment, the band was still a huge crossover star in the realm of alternative rock. What’s more, they were then offered a reportedly massive five-album contract from Warner Brothers. At the same time, though, the years of constant touring were taking their physical toll, and drummer Bill Berry–who had almost died onstage from a brain aneurysm–had decided to retire from the rock life. Thus, R.E.M. was in a position where expectations were exceedingly high, yet so much had changed that the next step remained obscured. From this, the band ended up producing Up, a strange, frustrating piece of music that would go on to predict the diminishing returns of their years as a trio. 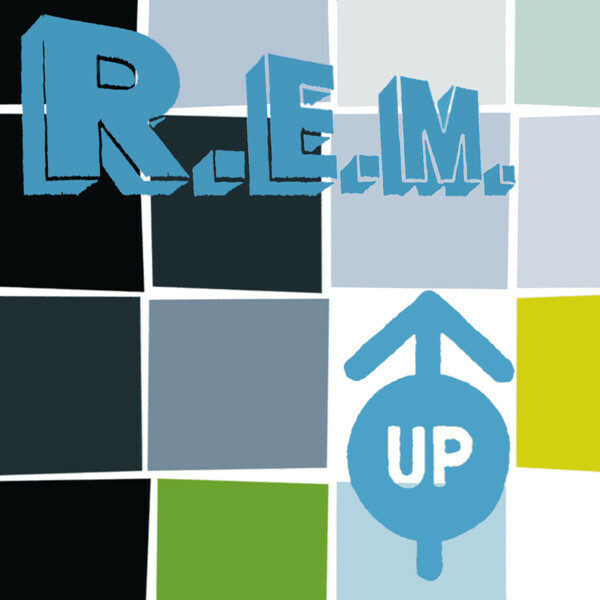 When talking about Up, the members of R.E.M. initially referred to it as something more experimental than what they had done up to that point. While this is certainly the case, the “experimental” nature of Up is somewhat oversold. Sure, it’s out there by R.E.M. standard, but R.E.M. was never a sonically adventurous band to begin with. For all of its vaunted use of electronics, Up mostly sounds like an R.E.M. album. A few songs lean heavily on keyboards, samplers and the damnable drum machine, such as “Airportman” and the Leonard Cohen-aping “Hope,” but otherwise, Up bears the marks of a typical R.E.M. album, complete with strummed, clean guitars and flourishes of piano. What is perhaps different this time around is the signs of their recording process. As opposed to Hi-Fi, which was largely written and recorded on the road during soundchecks, Up is a very measured, labored studio production, something that would become the band’s calling card while working with new producer Pat McCarthy. While it seems to aim for some air of professionalism, Up often just sounds as if the life has been sucked out of it, which goes a long way towards making it one of the more impenetrable R.E.M. records from a listener’s standpoint. 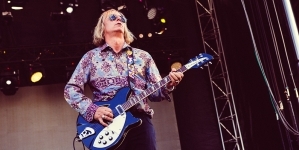 This isn’t necessarily helped by the utterly bizarre track sequencing, something that many listeners (as well as Peter Buck) have commented on after the fact. The album opens with “Airportman,” one of the more experimental tracks that fulfills the band’s promise of a more electronic-focused album. It’s a slow, moody piece that clearly borrows more from the tradition of ambient music than it does from anything that was big in electronica at the time (R.E.M. was certainly not in any danger of being mistaken for The Prodigy, that’s for sure). The song fades, only to be followed up by the glammy vamp-up “Lotus,” the lone song on Up that could be considered proper rock music. In the space of less than 10 minutes, we go from drawing-room electronica to Monster-era glam pastiche, only to then be brought into more high-tempo electronic music with “Suspicion” and “Hope” before rounding out with the Beach Boys tribute “At My Most Beautiful.” Taken individually, these songs offer some enjoyment if you’re a fan, but they make no sense appearing on the same album, let alone one after the other. 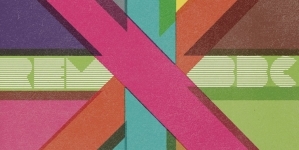 It gives one the impression that, as much as the band wanted to move in a different direction with Up, they didn’t have a clear idea of what that direction was going to be. However, R.E.M.’s lack of clear musical direction did not spread to Michael Stipe’s lyrics. 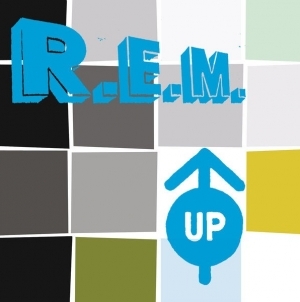 Up bucked a long-standing trend from the singer/lyricist in that it was the first R.E.M. album to have all of its lyrics printed in the liner notes. Stipe said in interviews that he often avoided having lyrics printed because he wrote in fragments rather than complete thoughts, and thus even some of the more direct songs in the band’s canon were left slightly obscured by one of their four creators. (The obvious exception here is Green’s “World Leader Pretend,” whose lyrics were published in the liner notes for reasons known only to Stipe.) On Up, though, he seems to have something to say. The vocals are more clearly placed at the front of the mix here than they had been on any of the preceding records, and Stipe seemed less interested in speaking in the abstract this time around. There’s no explicit connective tissue for his lyrics on Up; there’s just a general overarching theme of loss, regret and melancholy combined with a defiant need to soldier on in the face of it. Stipe offers character sketches of broken men on “Sad Professor” and “The Apologist,” and single “Daysleeper” presents a pretty damn accurate portrayal of living a life so busy that sleep becomes a luxury one can’t afford. After years of hiding in plain sight, Stipe grew so much in confidence as a writer that he ends up becoming the driving force behind Up when the album is at its best. 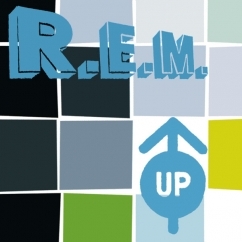 On the whole, Up is not nearly as bad as its reputation amongst R.E.M. fans would suggest. Make no mistake, this is a flawed record whose appeal likely doesn’t extend much beyond the most die-hard of fans (yours truly included), but it shows the band making honest attempts to evolve beyond what they had done in the past and, in some cases, succeeding. 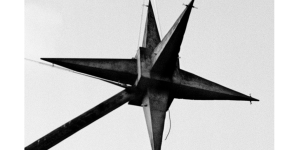 Unfortunately, they never got to continue down these paths: reaction to Up was not particularly positive, and the lukewarm reception to the album convinced the band to take a more familiar, organic approach with the middling Reveal and the abysmal Around the Sun. Those records give the impression of three tired men trying hard to sound like an approximation of R.E.M., but Up (which is often lumped in with those two career low points) offers something different. As often as the band stumbled on Up, they did so in a noble pursuit to redefine themselves in the wake of drastic change, and it’s a shame that many of the ideas here never really came to fruition. 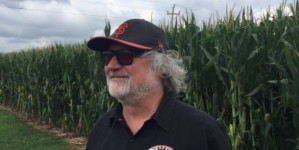 If you are a music fan in Portland, you know Scott McCaughey. Automatic for the People is a triumph of Americana.